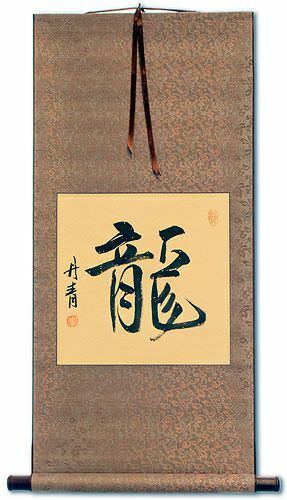 Buy Heart Chinese Calligraphy Wall Scrolls! We have many options to create artwork with the Chinese characters / Asian symbols / Japanese Kanji for Heart on a wall scroll or portrait. If you want to create a cool Heart Asian character tattoo, you can purchase that on our Chinese and Japanese Tattoo Image Service page and we'll help you select from many forms of ancient Asian symbols that express the idea of Heart. 獅心 is "Lion Heart" in Chinese. The most famous use of this title would be "Richard the Lionheart" also known as King Richard I of England who lived 1189-1199 A.D.
獅子心王 is the Japanese version of the nickname for King Richard the First. It literally means "Lion Heart King." The full title is "リチャード獅子心王" in Japanese, or "Richard Lion Heart King." If you want a special version of this or a related Lion Heart title, just contact me. 心の姉妹 is "heart of sisters," "soul sisters," or "sisters of the heart." This can be used for actual sisters to celebrate the heartfelt love they feel. It can even be used by two women who feel a connection as if they are sisters. 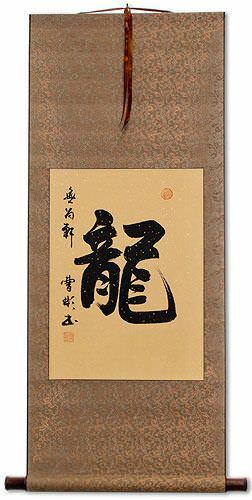 質多 is a Buddhist term that means, "the heart considered as the seat of intellect" and "the thinking and reflecting mind." 虎心 is "Tiger Heart" in Chinese and Japanese. This can be a name, and is also a rare and exotic gourmet dish served on occasion in southern China.